How fast have you seen a product sell? It doesn’t matter where you are, what store you’re in, or what the product in question is, there’s no denying that most of us have never seen a product sell quickly. Maybe a few an hour, maybe lots of purchases in one day, but never anything in-between. Samsung, however, has seen 180,000 of its Gear S2 smartwatches sell in just 8 hours in China, which beats the selling rate most of us have seen with regard to any product we’ve ever encountered. The retailer JD.com reported the results, and Samsung finds itself having to supply more Gear S2 smartwatches to retailers as they are now running out of smartwatches to sell. 180,000 smartwatches in 8 hours is a good selling rate for Samsung, but it won’t turn heads like Apple’s 1 million smartwatches in the Apple Watch’s opening weekend turned heads. Nevertheless, the 180,000 Gear S2 models sold is certainly a large turnaround from Gear S sales in 2014. Back then, Samsung’s own Gear S ran Tizen, with no Android compatibility, and mandated the use of a Samsung smartphone to use it. The Gear S2 provides Android compatibility with Android 4.3 Jelly Bean or higher, and will work when paired with even non-Samsung smartphones. 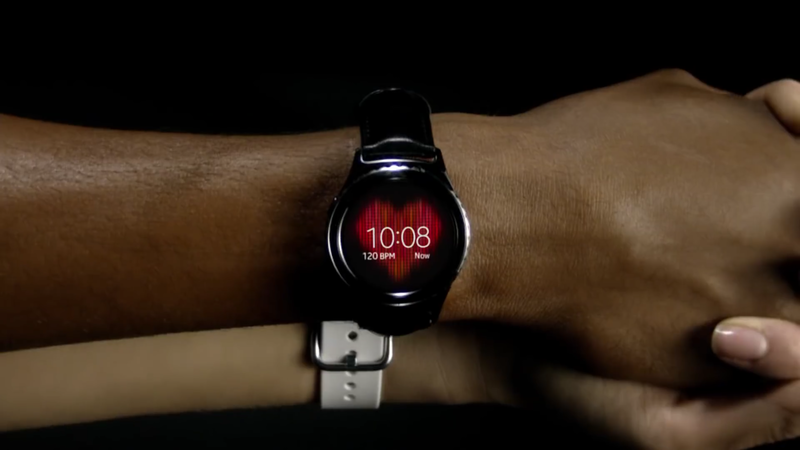 The Gear S2 is the company’s first circular smartwatch, featuring a circular, Rotary UI, a rotating bezel that navigates the UI without forcing you to touch the screen, a 1.2-inch display with a Super AMOLED resolution, 512MB of RAM, 4GB of storage, and comes in two Bluetooth versions (Standard or Classic) as well as a 3G-connected version (Gear S2 3G). The Gear S2 has now landed at AT&T and Verizon, with Verizon charging $299 for the Bluetooth-only Standard model, $349 for the Bluetooth-only Classic model, and $349.99 for the Gear S2 3G model. Those who don’t mind signing a two-year Verizon agreement for the 3G Gear S2 can pay $300 out of pocket, with a $5 monthly fee for the phone line (the watch comes with its own phone number). However, a Verizon smartwatch contract will bring a more severe early termination fee (ETF) than last year’s Gear S: whereas the Gear S allowed for a $175 ETF if the contract was broken before it was completed, the Gear S2 will mandate a $350 ETF if the contract is broken before it is completed. You can always purchase the Gear S2 3G model for $350 retail price outright and pay the monthly fee until you decide to purchase a new smartwatch. In this way, you would avoid a termination fee and get to move on to a new smartwatch should one come along. The Gear S2 has done well in China so far, but we’re interested in seeing how Samsung’s newest smartwatch will fare in the US and other countries.